He received a BA in Biology from the University of Rochester in 1985 and an MD from SUNY at Stony Brook in 1991. His surgical internship was at SUNY Buffalo and he completed his residency at the University of Rochester in 1996, when he joined the faculty of the Department of Surgery there. Dr. O’Malley began his laparoscopic bariatric surgical practice in 2000 and has since performed over 5000 procedures and has performed live surgery demonstrations locally and in Europe and has presented discussion at conferences and teaching courses in Europe and the Middle East. The Bariatric Surgery Center at Highland Hospital has grown to be one of the consistently busiest such practices in New York State. Dr. O’Malley offers patients laparoscopic gastric bypass, laparoscopic adjustable gastric banding, laparoscopic duodenal switch and laparoscopic revisional surgery. He has a particular interest in Single Incision Laparoscopic Surgery, particularly gastric banding and sleeve gastrectomy as well as cholecystectomy and colectomy. As a Bariatric Fellowship Program Director, Dr. O’Malley’s other professional interests involve training the next generation of surgeons to care for his growing patient population. Dr. William Graber recognized the need for a weight loss surgery program in Upstate New York in 2002 and has been performing bariatric surgery since then. His practice has performed over 6,000 bariatric surgeries on those affected by obesity, in both his Utica/New Hartford and Syracuse, NY locations. His practice specializes in the treatment of overweight/obesity with the use laparoscopic gastric bypass, gastric sleeve resections, adjustment of gastric bands, and revisional surgeries. Dr. Graber holds a bachelor’s degree from Haverford College in Pennsylvania and a medical doctorate from SUNY Downstate Medical Center. He completed his residency at Boston University and is a Fellow of the American College of Surgeons (FACS) and a member of the American Society for Metabolic and Bariatric Surgery (ASMBS). Manish Parikh, MD is an Associate Professor of Surgery at New York University School of Medicine and Director of the Bariatric Surgery program at Bellevue Hospital, New York NY. Bellevue Hospital is the oldest public hospital in the United States and is the largest safety-net hospital in NYC. He completed his surgical residency at NYU Medical Center and laparoscopic/bariatric fellowship at NY-Presbyterian Cornell/Columbia. 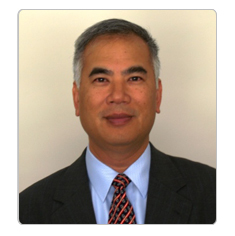 He currently serves on the Clinical Issues Committee for the ASMBS. He is board certified in general surgery by the American Board of Surgery. Dr Parikh is a Fellow of the American College of Surgeons (FACS), and a member of the American Society for Metabolic and Bariatric Surgery (ASMBS) and the Society for American Gastrointestinal and Endoscopic Surgeons (SAGES). and has been in practice for more than 20 years. Chief, Bariatric Surgery Lenox Hill Hospital Access to Care Representative Dr Roslin has dedicated his professional career to the treatment of morbid obesity. He has been performing obesity surgery in New York City since 1994. In 1996, he was made the Director of Bariatric Surgery at the Maimonides Medical Center. In 2000 he was appointed the Chief of Obesity Surgery at Manhattan’s Lenox Hill Hospital and has supervised its growth into one of the most prestigious programs in the United States. Considered one of the best bariatric surgeons in New York, Dr. Roslin is also the President of Manhattan Minimally Invasive and Bariatric Surgery P.C. Dr. Roslin was born in Brooklyn, New York. He graduated from Stuyvesant High School and did his undergraduate studies at the University of Pennsylvania. He attended medical school at New York University and did his surgical training at Maimonides Medical Center. Dr. Roslin has received numerous awards during his career. He was named one of New York’s Best Minimally Invasive Surgeons by New York Magazine and has been on both Castle Connolly’s and New York Magazine’s Best Doctors lists. Additionally, he has been an innovator in the search for better treatments. He holds several patents in the emerging field of Pacing Technology for the treatment of obesity. Most recently he has designed a method for the endoscopic treatment of relapse following gastric bypass. Dr. Roslin has been performing laparoscopic obesity surgery in New York City since 2000. He was part of the LAP-BAND® System clinical trial and has expertise in duodenal switch and revisional bariatric surgery. He is frequently asked by private bariatric practices all over the country to teach established surgeons new techniques and procedures. Dr Collin EM Brathwaite is Chairman of the Department of Surgery at Winthrop University Hospital on Long Island. He is also Chief of the Division of Minimally Invasive Surgery and Director of the Metabolic and Bariatric Surgery Program at Winthrop. Dr Brathwaite is an Associate Professor of Clinical Surgery at Stony Brook University. He is a graduate of Howard University College of Medicine where he completed medical school in only three years, receiving the Lasalle D. Lefall Award with Honors in Surgery. His Internship and Residency in General Surgery, which included training in open bariatric surgery, were obtained at St Vincent’s Hospital and Medical Center in New York City, where he finished in 1988. Dr Brathwaite also attended advanced Fellowship training in Trauma and Critical Care at the Shock Trauma Center at the University of Maryland. He has actively practiced bariatric surgery since 1998. Dr Brathwaite has directed Bariatric Surgery programs at Stony Brook University as well as St Catherine of Siena Medical Center, both on Long Island. He is an active member in the American Society for Metabolic and Bariatric Surgery, the Society for Surgery of the Alimentary Tract, the Society for Laparoendoscopic Surgery and the Alpha Omega Alpha Medical Honor Society to name a few. He has been the recipient of several teaching awards, has authored or co-authored numerous publications on various aspects of surgery, and at present holds two patents. Dr Brathwaite has also been honored as a clinician by being listed as a “Top Doc” by Philadelphia Magazine, as well as citation by Best Doctors in America on several occasions and as one of America’s Top Surgeons by Castle Connolly Medicine Ltd.
Dr Brathwaite has served on the Bariatric Surgery Review Committee, of the ASMBS and has served as a consultant to the Health Plan Association of New York and the New York State Department of Health in developing and implementing Guidelines for Bariatric Surgery in the state. He has established and directed Bariatric Surgery Center of Excellence programs in both the private practice and the academic practice setting. Dr. Clarke completed his surgical residency at the Guthrie Clinic in Sayre, Pennsylvania. Drawn by all things laparoscopic, he finished his training at the New York Hospital of Queens fellowship in Bariatrics and Minimally Invasive Surgery. After the post graduate years, he helped create a hospital based bariatric practice in Schenectady, New York. The growth and success of the Ellis Hospital Bariatric Care Center culminated with the designation of Center of Excellence status. 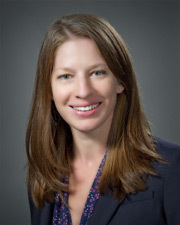 Through various committee participation, county medical society leadership, and developing a division in bariatric medicine, Dr. Clarke is steeply involved with the advancement of bariatric care locally. He welcomes the opportunity to tackle our patient’s and colleague’s issues on a state wide level. Assistant Professor of Surgery Director of Minimally Invasive & Robotic Surgery Bariatric & General Surgery New York Medical College Dr. Kaul has been performing obesity surgery since 2000 and is a member of the Association for Metabolic & Bariatric Surgery. Dr. Kaul is a Board Certified general surgeon, a Fellow of the American College of Surgeons and a member of Royal College of Surgeons, Edinburgh. He graduated at the top of his class in medical school in India. After finishing his post-graduation in Surgery from a tertiary care center (PGIMER) in India, he worked as a registrar in the UK. He then finished his surgical residency from St. Barnabas Medical Center, New Jersey and completed a fellowship in minimally invasive surgery at the Institute of Minimally Invasive Surgery, New York. He was selected in the 2002 list of “Americas Top Minimally Invasive Surgeons” by Consumers Research Council of America and is an Honored member of Strathmore’s Who’s Who 2002-2003 Edition. In 1998 he was selected as an “Outstanding Young man of America” in their thirty first edition. Dr. Kaul has over 50 international presentations, book chapters and papers to his credit.